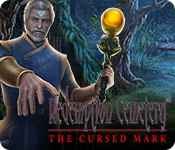 Redemption Cemetery: The Cursed Mark is rated 1.8 out of 5 by 4. Rated 3 out of 5 by deddu from Really Not That Bad Okay, yes you have to save three souls again, but the game play is okay -- there are varies types of hidden objects and some good mini-puzzles. I have played all these games and this might not be the "best" one. However, the graphics are good and the game flows forward without too much back and forth. As always try it -- you might like it. Rated 2 out of 5 by biscuitsmama from WHEN WILL THE COOKIE-CUTTER ASSEMBLY LINE END? Jump on the conveyor belt to another cookie-cutter game in the Redemption Cemetery series - The Cursed Mark. The premise of this game is the same now as it was in 2010 when the first game was offered. The storyline is only different in that this time there are two demons duking it out for supremacy - one good the other the bad guy who needs to steal souls in order to flesh out his skeletal form and take dominion over, yes you guessed it guys, the entire world. Is it BFG or is it the lack of creativity with a developer that keeps bringing us this assembly line of games over and over and over? Honestly if this continues to be what I have to look forward to with games from the same handful of BFG developers, then it is a bleak gaming outlook indeed. 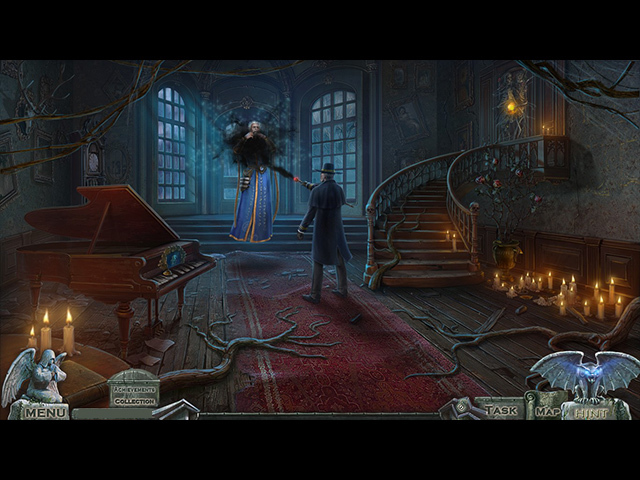 There is nothing remotely interesting in "The Cursed Mark" that would entice me to even complete the demo of the game. It was boring from the get-go with the same storyline, the same tasks, and the same gameplay. 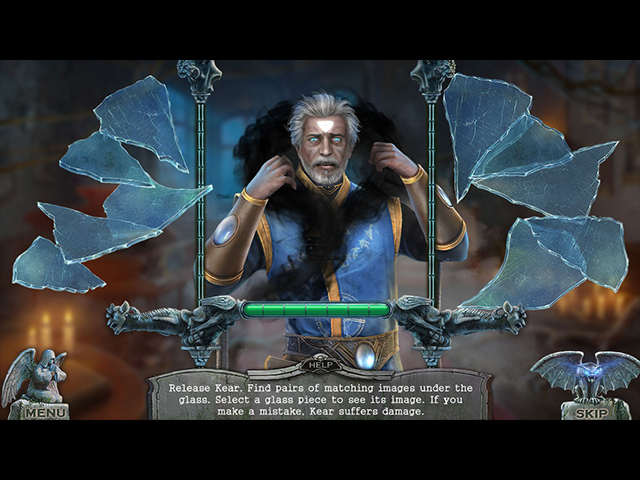 HOPA games are now littered with mini-HOP scenes since they probably require less work to create and serve to act as game fillers so that a game with three chapters might seem much longer. IMHO anytime I see an in-game strategy guide that shows a game has only 3 chapters, then I am not going to spend my hard earned dollars to purchase the game - even if it is on sale. Those of you who haven't been around long enough to play the previous thirteen games in the series might possibly enjoy this game. This developer creates some of the most realistic characters in gameland and their artwork is probably enough to entice you to having a go at Redemption Cemetery The Cursed Mark. As for me, I've been there/done that over and over and over again so this one is definitely a pass for me. As always, please try the demo to see if you will enjoy The Cursed Mark. Happy Gaming! Rated 1 out of 5 by Pilot1 from It's time to close this cemetery! I don’t have as many of this series as some others do, but I have enough of them to say that I’m somewhat of a fan. This game, Redemption Cemetery - The Cursed Mark, will not be joining the almost three-hundred others that I have bought. Having read the reviews for the collectors’ edition, I should have been forewarned and not even bothered to download this standard version. Once again we have an evil entity whose presence is marked by voluminous black smoke. He is, of course, determined to destroy everyone including, obviously, a child who, if we don’t rescue her, will die in a fire set by —you guessed it— the evil entity! Really? The writers couldn’t come up with a newer, a better plot than this old chestnut? The first words you hear when this game starts are these, “No, oh, no!” That’s what should have been said when this game was proposed to the developer. There are almost no options for the player to set. In fact, nothing has changed here since the first in this series was released some ten-years ago. I play HO games for relaxation and, truly, I don’t expect them to do more than hold my attention for a while and be enjoyable. This game disappointed on both counts. 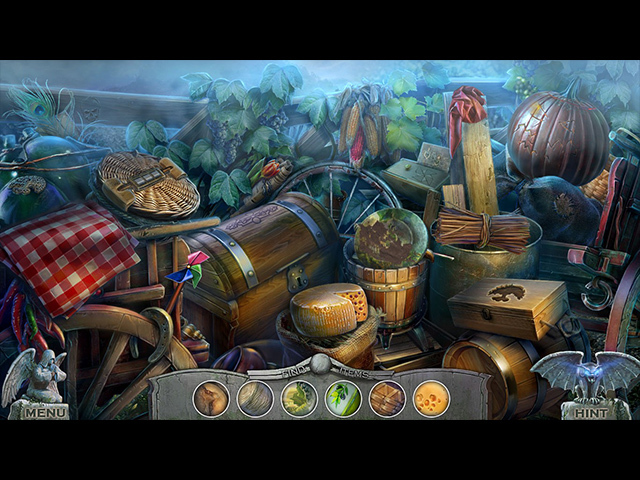 The repetitive and simple hidden object sequences offered no challenge at all. One after another, all cut from the same cloth. If you’ve played any of the earlier Redemption Cemetery games you’ll immediately notice that the graphics are the same flat renditions, the music is the same overly melodramatic score, background sounds are more of the all too often recycled clanks, bangs, and screeches, the dialog is stilted and obviously written by a perhaps graduate of an ESL class! I am sure that there will be some who post rave reviews for this game, just as there were some who thought the Edsel was a great idea. If you’re not old enough to get that reference, sorry. Usually I suggest that you download and play the demo, not this time. Do not waste either your download limits or your time nor, certainly, waste your money buying this game!